Maki Namekawa is a leading figure among today’s pianists, bringing to audiences’ attention contemporary music by international composers. As a soloist and a chamber musician equally at home in classical and repertoire of our time, she performs regularly at international venues such as Suntory Hall Tokyo, Carnegie Hall and Lincoln Center New York, Davies Symphony Hall San Francisco, Barbican Center and Cadogan Hall London, Cité de la Musique Paris, Concertgebouw Amsterdam, Salzburg Festival, Ars Electronica Linz, Musik-Biennale Berlin, Eclat Festival Stuttgart, Rheingau Music Festival and Ruhr Piano Festival. Maki Namekawa records and performs frequently for major radio networks in Germany, the Netherlands, Switzerland and France. Orchestra engagements include Royal Concertgebouw Orkest Amsterdam, Münchner Philharmoniker, Bamberger Symphoniker, Dresdner Philharmonie, Bruckner Orchester Linz, American Composers Orchestra, and Seattle Symphony. In 2013, she performed the world premiere of the entire cycle of Philip Glass’ 20 etudes for piano solo at Perth International Arts Festival under the participation of Glass himself, followed by concerts around the world in the US, Mexico, Brazil, Ireland, Scotland, Iceland, Sweden, Finland, Denmark, Slovakia, Poland, Germany and Japan. A double-CD of the complete Glass etudes has been released in 2014 by Orange Mountain Music, reaching number 1 of the iTunes Classic charts and receiving high praise in the categories “Performance” and “Recording” by BBC Music Magazine. In September 2017 Maki Namekawa presented the whole cycle of Glass etudes for the first time in Austria at Ars Electronica Festival. Together with her husband, the conductor Dennis Russell Davies, Maki Namekawa formed a piano duo in 2005 which regularly performs in leading venues in Europe and North America including the Piano Festival Ruhr, the Radialsystem in Berlin, the Salzburg Festival, the Ars Electronica Festival, the Lincoln Center Festival, the Morgan Library and “Roulette” in New York City, the Philips Collection in Washington, D.C., and the Other Minds Festival in California. 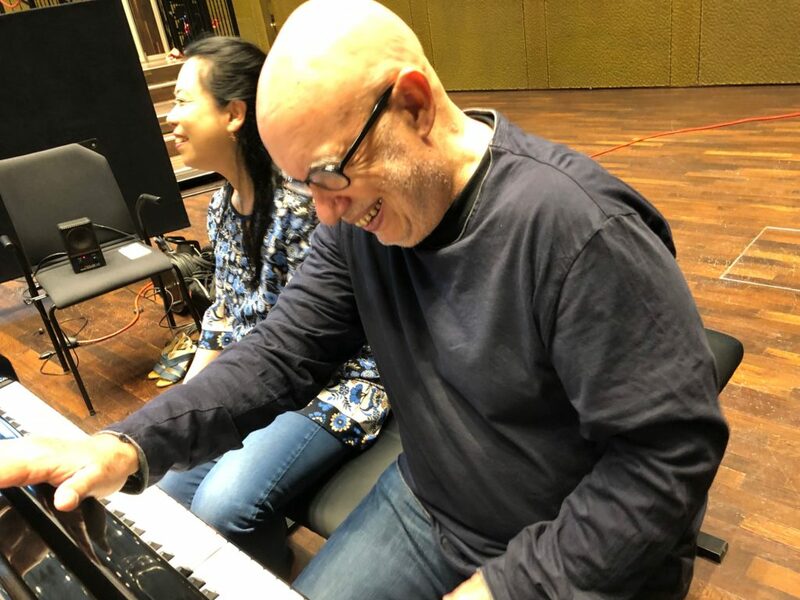 Major works written for the Namekawa-Davies Duo include Philip Glass’ “Four Movements for Two Pianos”, “Chen Yi’s “China West Suite”, and Glass’ “Two Movements for Four Pianos“ (with Katia and Marielle Labèque) all commissioned by the Piano Festival Ruhr. In July 2017, Maki Namekawa, Dennis Russell Davies and Philip Glass received the Piano Festival Ruhr Award. Maki Namekawa studied piano at Kunitachi Conservatory in Tokyo with Mikio Ikezawa and Henriette Puig-Roget. In 1994 she won the Leonid Kreutzer Prize. In 1995 she continued her studies with Werner Genuit and Kaya Han at Musikhochschule Karlsruhe, where she completed her diploma as a soloist with special distinction. She went on to perfect her artistry in Classical-Romantic repertoire with Edith Picht-Axenfeld, in contemporary music with Pierre-Laurent Aimard at Musikhochschule Köln, György Kurtág, Stefan Litwin and Florent Boffard. Following studies at the Kunitachi Music University in Tokyo, Maki Namekawa pursued advanced work under Pierre-Laurent Aimard at the Musikhochschule in Cologne as well as studies with Werner Genuit and Kaya Han at the Musikhochschule Karlsruhe and Stefan Litwin in Saarbrücken. Maki and her husband Dennis Russell Davies record 3 pieces by Philip Glass for their new CD release. Philip, Dennis and Maki perform at the Swarovski Kristallwelten in Wattens, Austria.